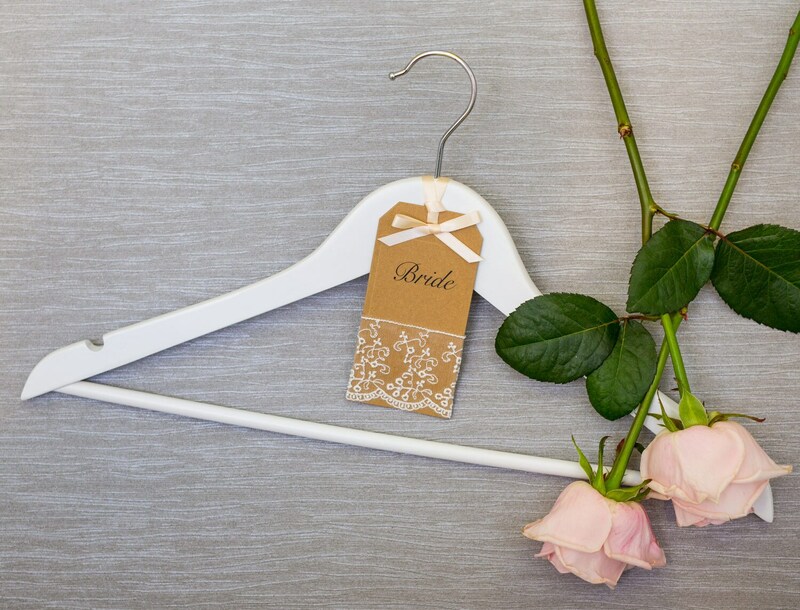 My philosophy is that every wedding dress deserves a beautiful hanger, and I design beautiful, elegant wedding hangers so that stunning dresses can hang on gorgeous hangers. 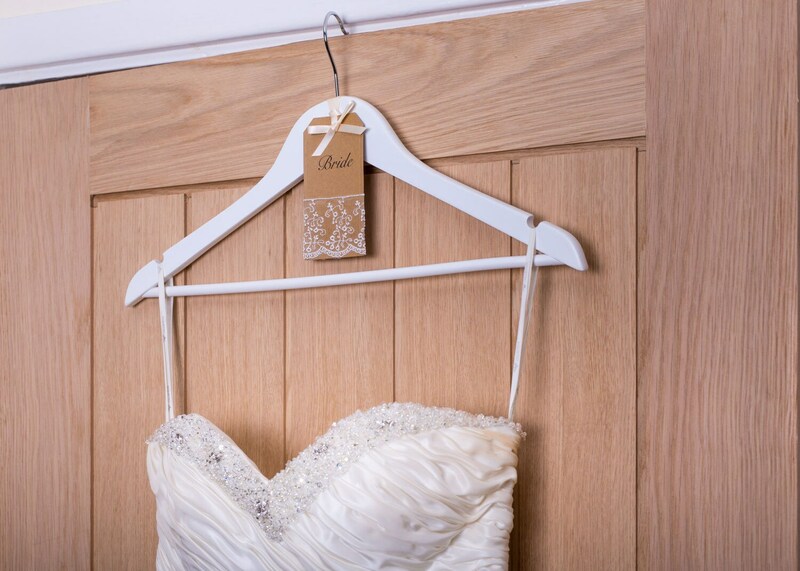 This beautiful wedding hanger is made using a superior matte white wood hanger. 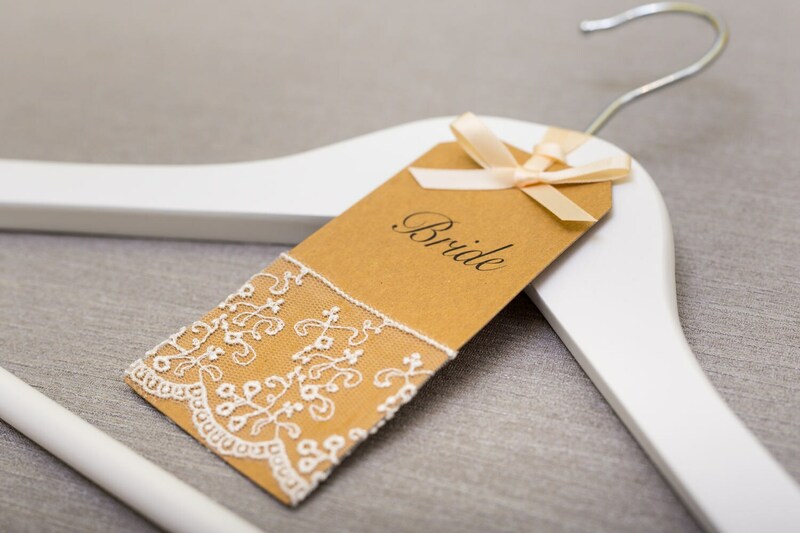 The hanger is finished with a hand die-cut, Kraft Card Label, printed in a modern, calligraphy for a , hand written style and finished with Embroidered tulle lace and Ivory Satin Ribbon. 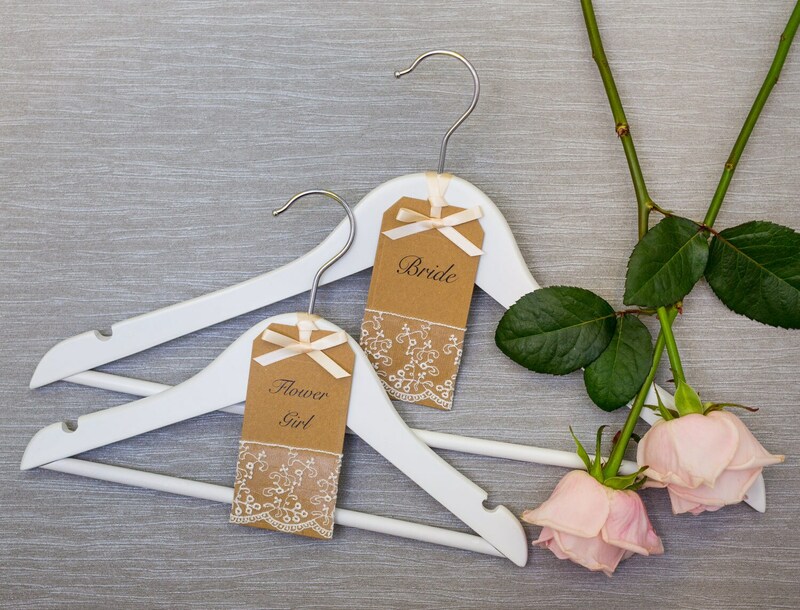 - Enhances wedding photography ensuring that perfect hanger shot. 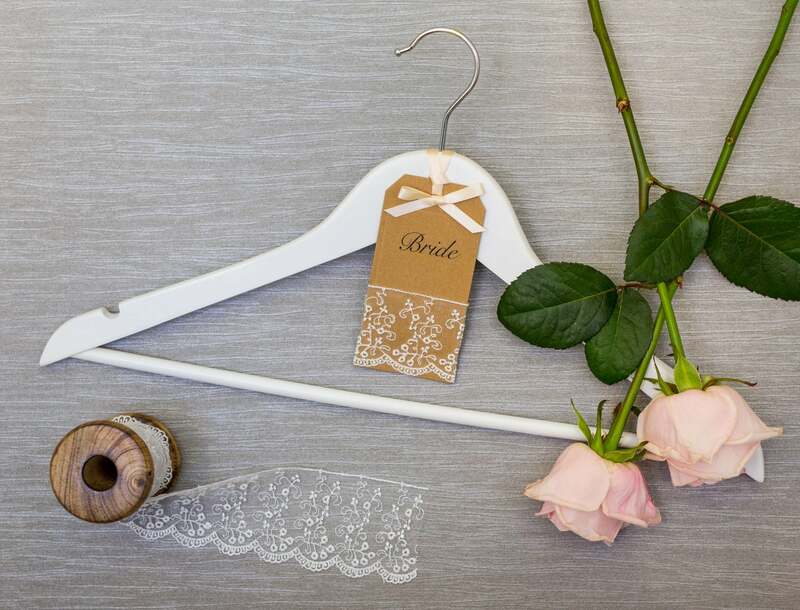 All hangers are hand-made to order so please allow 2-3 weeks for delivery, if you do need the hangers in a shorter timescale though do let me know and I'll do all I can to accommodate. Shipping will always be tracked, this is of course reflected in the price but gives you the customer the peace of mind that a purchased item will arrive safely.